Enterprise Rent-A-Car, not just for cars! It turns out that you can get a great deal on a great cargo van at Enterprise as well. You can be sure that you will get your van in a condition that is no less than exceptional. As with all rentals from Enterprise, you can expect the car to be detailed inside and out when you go to pick it up. The vehicles always run like a dream, too. Every model in Enterprises huge selection of vehicles comes fully equipped with AM/FM radio, air conditioning, and an automatic transmission. There are GM Express and Ford Econoline type rentals available. Although availability varies depending on where you are, you can be sure they will have something to suit your needs, when you need it. You might be need of a vehicle in order to transport your goods in larger quantity than your current assets are able. There could be business out of town, where renting a van when you get there would be more economical than driving your own vehicle the whole way. As a small business just starting out, you might not have a means of transportation that would be able to make a long business trip, or might leave you suddenly in a bind. Perhaps you want to add a little WOW to that ever so important first impression with a new customer, Enterprise can help you add that extra little flair that really makes you stick out in the mind of new and potential clients. For any number of unpredictable reasons, you can turn to Enterprise to be on your side. They will even drive to your door, so you don’t have to sweat figuring out how you are going to get to them. Their friendly, fast and convenient service will come as a breath of fresh air, especially in a moment when you feel like you can’t breathe. They accept all major credit cards (Visa, Master Card, Discover, American Express etc), and although it isn’t available in all locations, some locations will allow cash rentals with the proper paperwork. This often includes your valid driver’s license (required with all rentals) paycheck stubs, employment verification, current utility bills, and in some cases information on return flights. 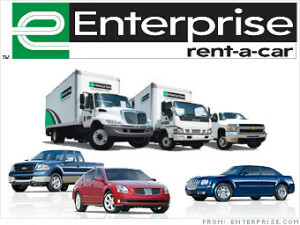 Just get online and check out Enterprise’s selection in your area, or the area that you are needing a cargo van in. You could always go in and talk to a representative today. Make Enterprise a part of your team, and watch your success grow!